Translation Tribulations: Indestructible Italian quality! Language service providers like yours truly spend a lot of time talking about the high cost of crap quality. But that applies to most things, really. An old friend of mine who struggled at the start of his professional life paying his way with handyman work while creating beautiful custom furniture knew that he could afford only the finest tools though not always meat to go with the bread on his table. I drink a lot of coffee, and I enjoy it in a variety of ways. As those who have visited my kitchen can attest, it's almost like a fetish with the various pots, presses and filters, each teasing different qualities of taste from a well-roasted bean. I thought by now I would have learned most of what I needed to know to ensure good results in the "coffee kitchen". Distraction has taught me - or reminded me - of a few things lately. Three times now I have become involved in work or gone off shopping with friends and forgotten a moka pot on the fire. The first time, I returned to a house filled with toxic smoke from the burned plastic handles and top knob, and I was grateful the house had not burned down and the dogs were still alive. More recently I left my favorite Bialetti Brikka pot on the flame for several hours. Twice. If anyone wants to say nasty things about Italian engineering, I will have to plead for the defense. 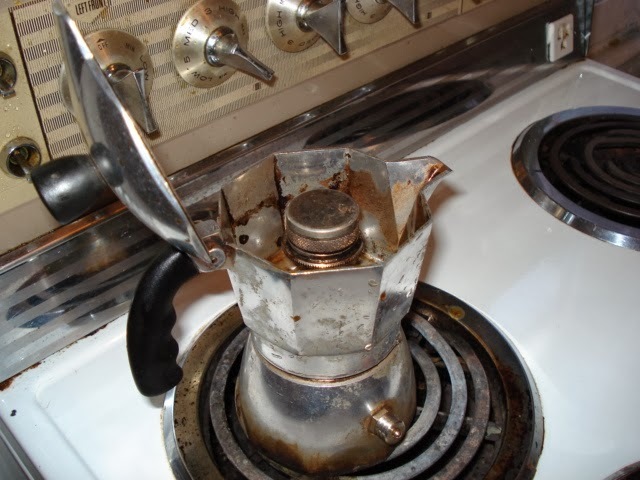 In contrast to the complete destruction of the cheap moka pot after an hour, the Bialetti pot just needed a bit of scrubbing. Even the gasket was OK, which amazed me. The durability of the pots that cost me about €30 is so much beyond that of a €7 pot that to compare them is almost a crude joke. Oh yes, and I don't know any other manufacturer who offers such an excellent pressure valve for crema at that price. There are obvious analogies to our work as translators, of course. But I don't need to insult anyone's intelligence by explaining them. I'll just go enjoy another shot of coffee from my indestructible Italian-engineered pot. Cambridge conference - Getting Language Right! Colors in memoQ lookup results - which termbase?